Director Rian Johnson’s Star Wars Episode VIII won’t start filming until next year, but it’s never too early to get the casting out of the way. The Wrap reports that they have sources close to the casting process that say Lucasfilm and Disney are currently eyeballing Benicio Del Toro for the main villain in the next installment of the main Star Wars saga. Nothing has been confirmed yet, but this would definitely fit in with the diverse universe that J.J. Abrams has started to build with this year’s The Force Awakens. Discussions are still in the early stages, but word is that the House of Mouse is high in getting Del Toro. And why wouldn’t they? After proving himself in another Disney owned property, Guardians of the Galaxy, the veteran actor showed he can hang in the wacky sci-fi universes that inhabit the movie theaters these days. The actor has proven that he can play downright menacing as well. He was scary as hell in The Savages. Hopefully this pans out to be true. 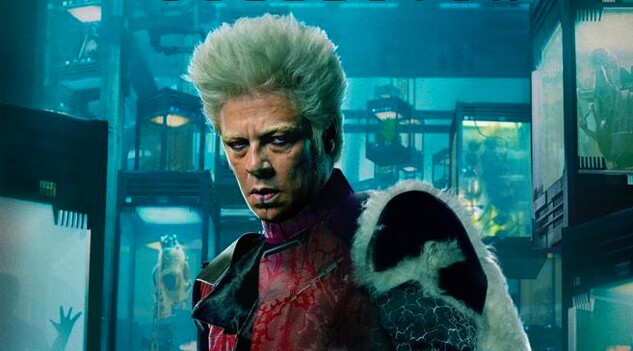 I’d love to see Benicio Del Toro’s brand of villainy in a galaxy far, far away. Star Wars Episode VIII is currently scheduled to hit theaters May 26, 2017.